The U.S. incarcerates more people than any other country in the world — 2.2 million people, enough to fill a city about the size of Houston. At a time when bipartisan criminal justice reform is making headlines, the American Federation of Teachers (AFT) has issued a report entitled “Private Prison Investment Risks” that provides a timely reminder of the perverse incentives of private prisons that profit from packed prisons and on cutbacks to critical prison services, such as health care. The report takes aim at a business model that “depends on increasing the number of people of color in detention often under conditions that violate their human rights,” and backs up these strong words with disturbing detail. While some might suggest that teachers are veering “out of their lane” in discussing private prisons, nothing could be further from the truth. That’s why the Economic Policy Institute says that “criminal justice policy is education policy,” and that’s why educators and their allies are getting involved. “Mass incarceration is the new Jim Crow, and it has devastated black and brown communities across the country. Companies like CoreCivic and GEO Group, whose entire business models depend on putting more people in prison, aren’t serving the public like they’d have you believe; they’re making billions of dollars every year, and doing it on the backs of inmates, their families and the people who work in their facilities,” said Jitu Brown, director of the Journey for Justice Alliance, a grassroots education advocacy group based in Chicago. Unlike prisons run by federal and state governments, these firms profit from “tough on crime” laws and “lock ’em up” immigration policies that push up incarceration rates. Although it claims that it has not lobbied for bills that extend or increase sentences for prisoners, for many years GeoGroup (and CoreCivic) participated in the task force of the American Legislative Exchange Council (ALEC) that pushed “model bills” in the states to advance the privatization of prisons, and bills that lengthened time served by prisoners. Thus, the AFT report concludes that “mass incarceration is not only a racial justice issue and a civil rights issue, it is also an investment issue.” The report calls upon public pension funds to assess their direct and indirect exposure to the companies and private equity firm, to assess the risks they pose and take appropriate actions to mitigate those risks. Three of the four largest public pension funds, the California State Teachers Retirement System, the New York State Common Retirement Fund and the New York City Employee’s Retirement System have already pulled out of the private prison industry over the last two years. Today’s report is the second in a series on incarceration published by AFT. The immigration policies of the Trump administration, increased ICE patrols in communities, and the forcible separation of families have sparked renewed concern over those profiting from immigration detention centers. 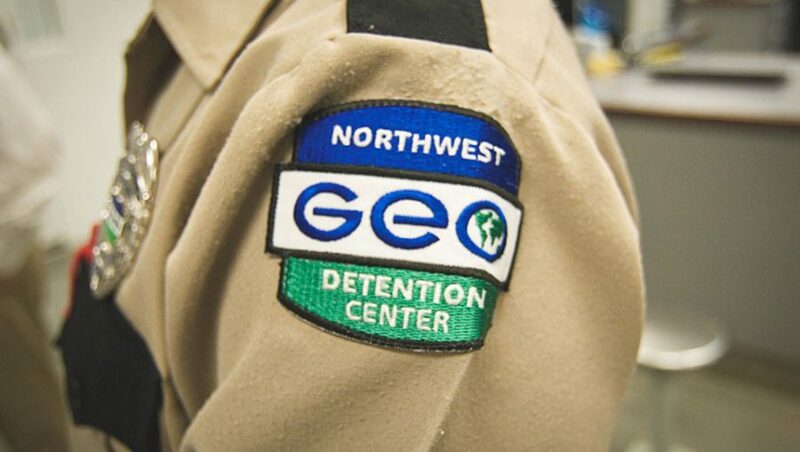 In August 2018, AFT published a report “Private Prisons Immigration Detention and Investment Risk” identifying hedge fund managers who invest millions in companies that profit from detention facilities that house separated immigrant families. That month, the Chicago Teachers’ Pension Fund added immigrant detention centers and other private prison operators to its list of prohibited investments. “Our union members serve tens of thousands of immigrant students in our schools, and we are committed to taking any and all steps to protect their families from disruption or repression. That included our refusal to support corporations that seek to profit from the national attack on immigrants,” said Chicago Teachers Union President Jesse Sharkey.